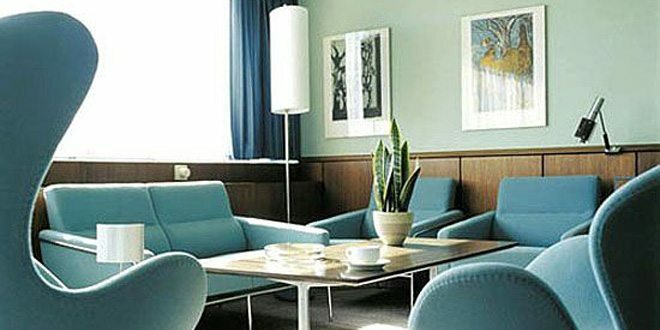 In his approach he did not separate design from production, and he considered furniture making at the same level of architecture. His favorite materials were, in fact, mostly used in the automotive and aviation industries. In this way he could design affordable and mass-producible pieces. 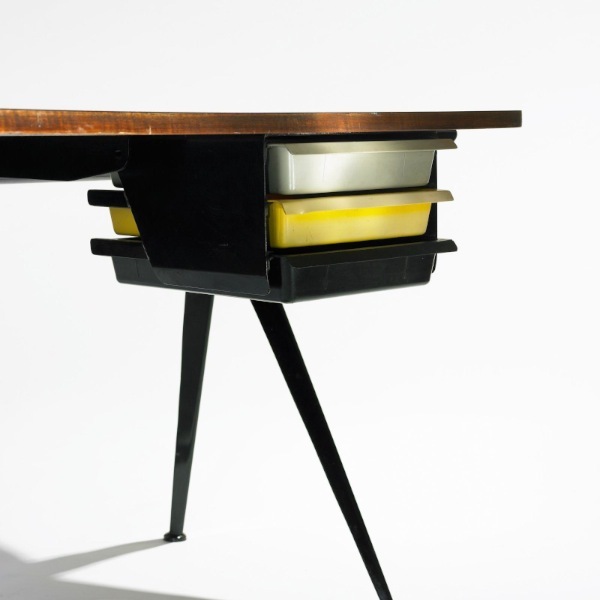 The Prouve Compass Desk -with its homonym base- summarize the essence and approach of the French designer to furniture making. 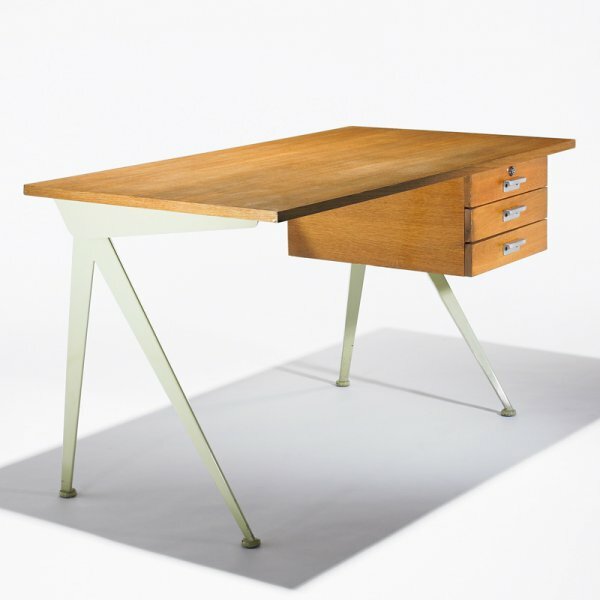 The Desk was produced from 1947 to 1953 in the Maxéville factory and has an evident and permanently in tension structure. 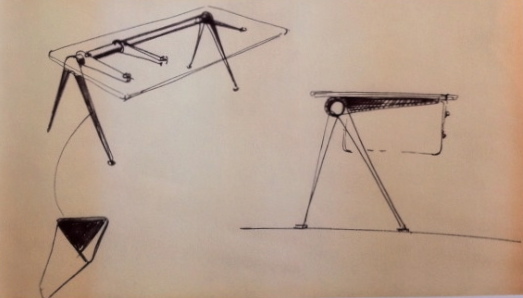 The Prouve Compass Desk -as his early works- doesn’t have tubular steel parts that he considered overused and not appropriate for the mass-production. 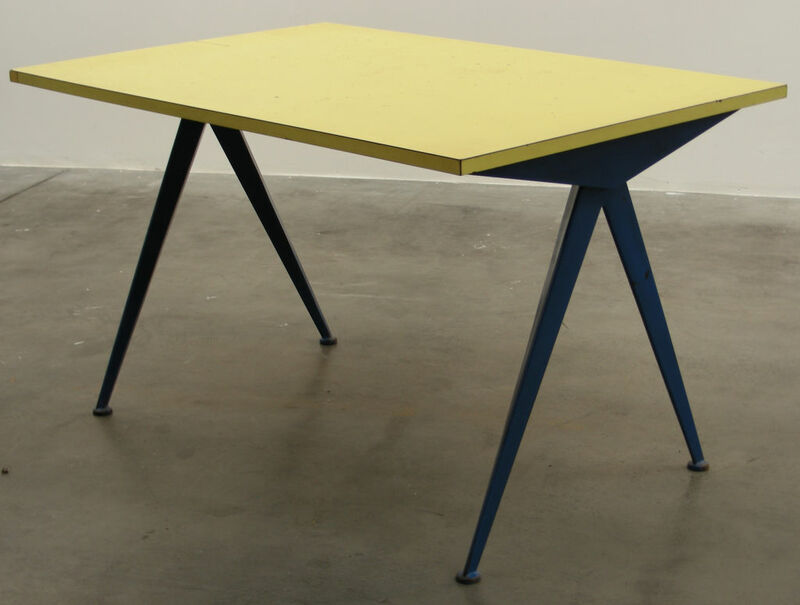 For this product he preferred instead sheet-metal elements -made using a folder-press and finished with car body paint- for the structure and a laminated-wood top for the desk. Over the years the Compass Desk was produced in several variations occasionally coming with plastic drawers designed by Charlotte Perriand. 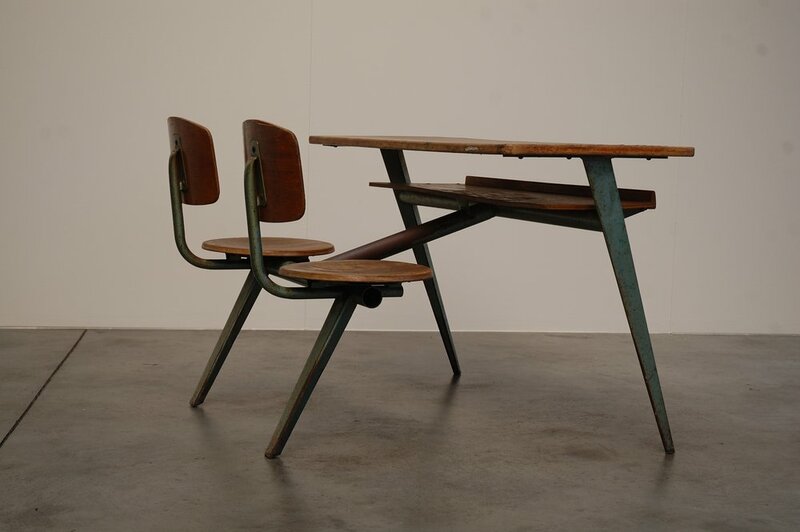 Not only the materials used to produce the Compass Desk came from the heavy industry but also the production process, resembling more of design and architecture than of furniture making. The Prouve Compass Desk structure also highlights a defining character of his designer’s philosophy: the separation of scale from solution. 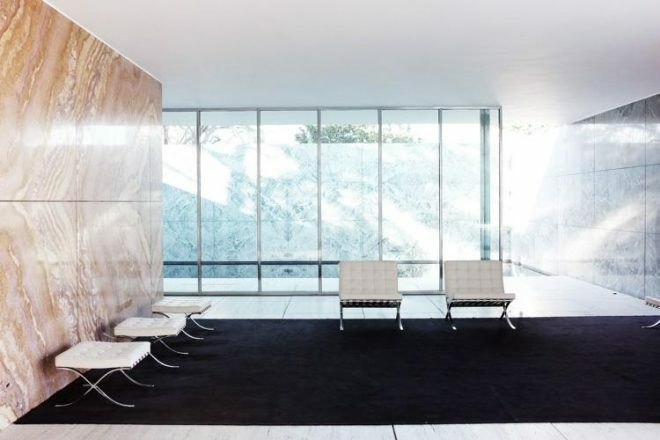 The desk was in fact produced in different forms and scales depending on the need of the final users, so it was for the veranda of the Sécurlté Sociale building in Le Mans, the planned Interior of the Ecole de Vlllejulf, Paris, and the refreshment bar in Evian. The production versatility shows as the vision of construction needed only material, structure and assembly to generate beauty independent of scale. 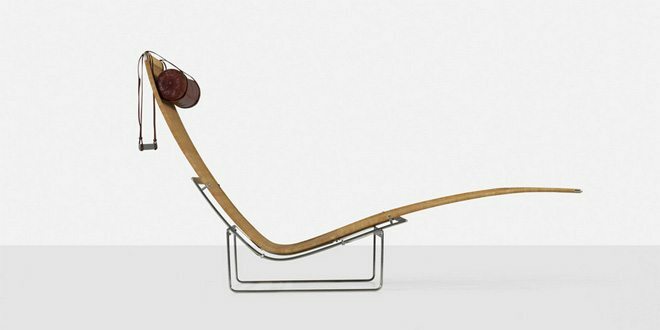 WOULD YOU LIKE TO READ MORE ABOUT JEAN PROUVE? LET ME KNOW IN THE COMMENTS!